This is my go-to potluck recipe! I make this salsa for every event, but I also make a big bowl of it for myself every now and then. I love that it’s healthy and is heavy on the cilantro. 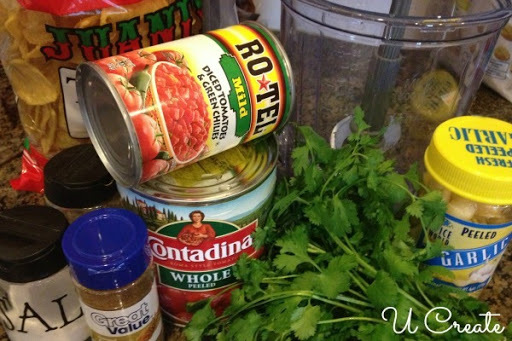 Best Fresh Salsa EVER…and easiest! 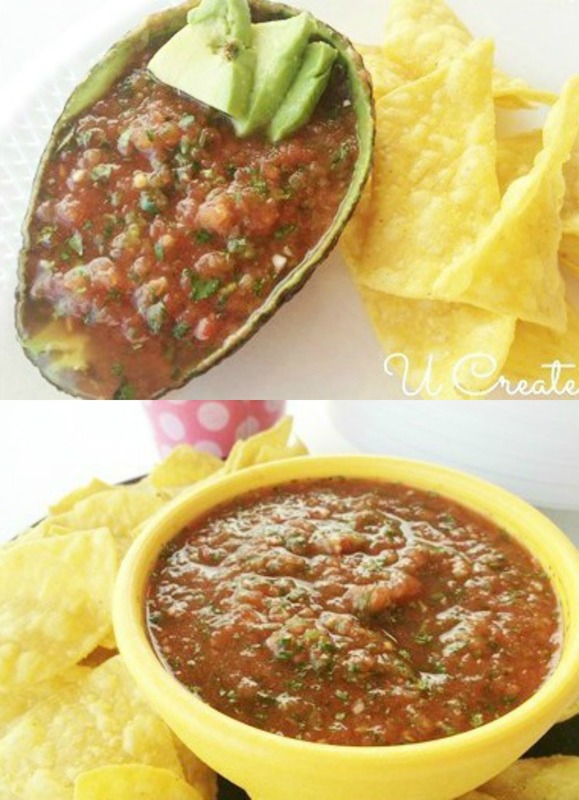 If you want to get nice and fancy hollow out some avocado skins and serve the salsa in them. You can easily half the cilantro or omit the avocado and this salsa is still devoured at every party! Place all ingredients (except the avocado) in a food processor or blender. Blend together until you have the desired texture. Pour in serving bowl and stir in diced avocado. Yum! You can also use the S&W brand Mexican style tomatoes and fresh garlic. This looks delicious and way simple. 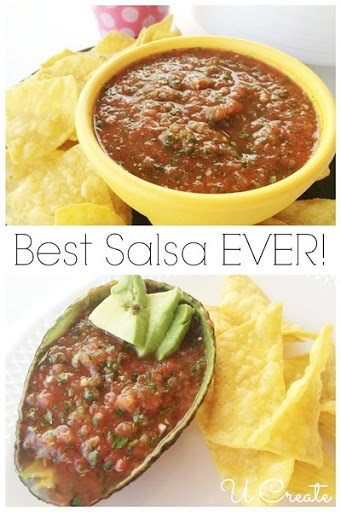 I am going to have to remember this recipe next time I want to make fresh salsa for sure! I swear I make it every week. We are hooked! yum. Sounds easy to me. Oh, it’s so easy! You are going to love it! Liz- it’s the best blender salsa EVER! ENJOY, girl! What size cans? I get mine at Costco and they are 10 lbs! You say in the recipe to use a can of whole, peeled tomatoes, but in the comments section you say you use 8-10 whole tomatoes?!? What size can are the tomatoes and do we drain the juices from the tomatoes? Hey there, I use a medium sized can of peeled tomatoes. It’s not a bulk size. If you buy whole canned tomatoes in bulk (like the comment above) then you would just use about 8-10 tomatoes from that can. Does that make sense? The can I use has about that many small tomatoes in it. I drain the juice.